All you have to do is fill out a few simple tables. We even teach you how to select the right category. Enjoy Ultimate Flexibility. Change Anything. Feel free to change the system to your needs and company standards. From colours to language. Invoices, credit notes, offers, packing lists and reminders are created instantly. No double entry. A step-by-step process takes out ALL of the guesswork. Unique cheat sheet and integrity checks. This is an exceedingly simple process, even a 10-year old can understand. Do you feel helpless when it comes to your accounting? 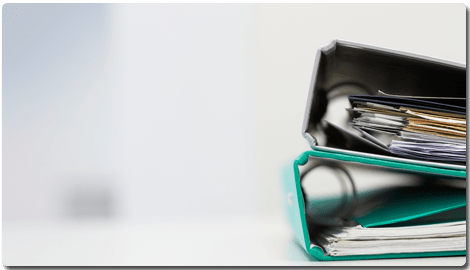 Are you tired of receiving a huge bill from your accountant, year after year, for services that you could easily be doing yourself? Are you fed up with paying for a service that is purposefully shrouded in mystery and secrecy (because if you actually knew how simple it was, you’d never pay an accountant again)? Do you wish there was a simplified system that would allow you not only save time, but thousands of dollars in unnecessary fees, by doing your own numbers? 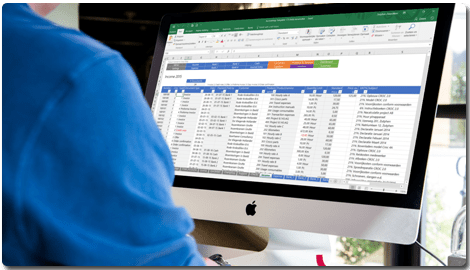 Using the Excel accounting template saves you time you can spend with your family and saves you money you can invest in your business. 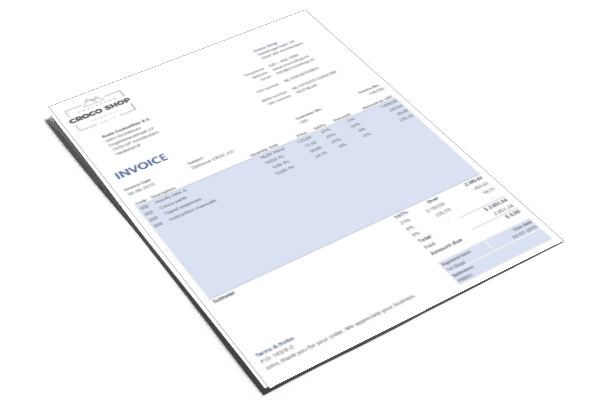 Now doing your own accounting effortlessly is as simple as filling out a table. No monthly fees. 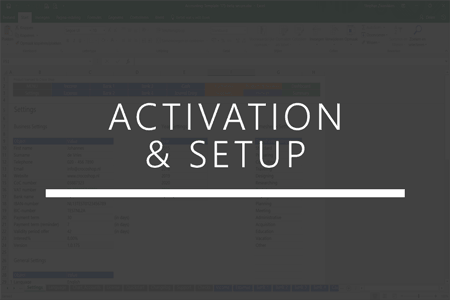 You only pay a small annual fee for new activation code, updates and extended support. Save valuable money you can now use to invest in your business or buy other things. 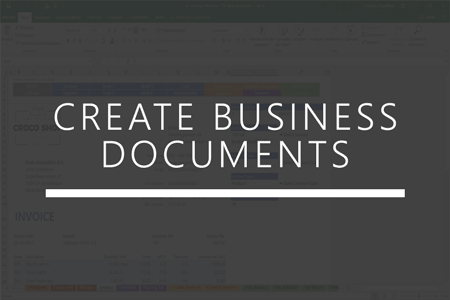 Most business owners already own Microsoft Excel. And don't worry, this is an exceedingly simple process, even the most unorganised, non-tech savvy person can understand. Even a 10-year old can fill out a simple table. You don't have to learn new software since you already own Microsoft Excel. 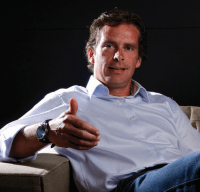 I paid thousands of euros to my accountant. The Excel accounting template works really great! I know what's happening in my company every week, giving me better results since 2010. 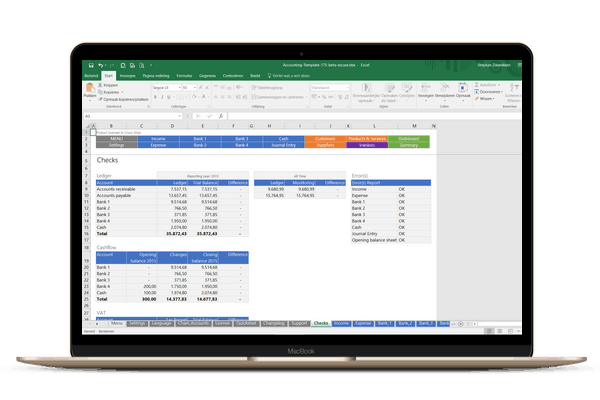 Recently, I've purchased the Excel accounting template and experience daily how easy it is to do your accounting with this package! All the features you need as a (small) entrepreneur are present and what's so great: you'll see the results of all your entries right away in the extensive dashboard! 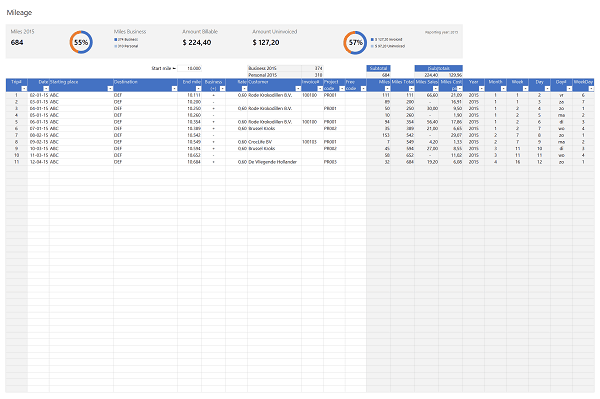 In addition, the balance sheet and income statement are updated, so you can see how your company is doing financially from day to day. And the the price of this package is really "value for money"! 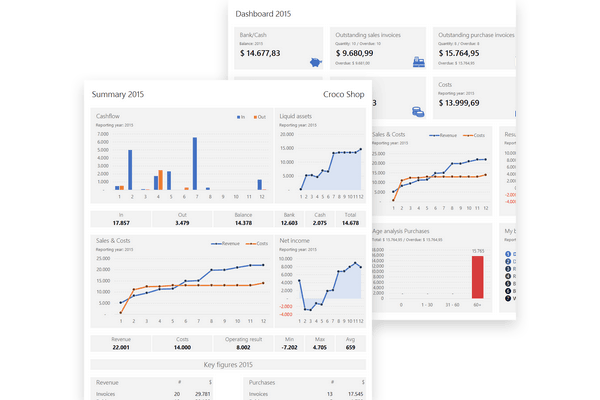 The Excel accounting template is a great program for everyone. You do not need to be an accountant to get started. Now that I'm using it for a while, it's getting more fun to do your accounting yourself and if you get stuck, good help is provided. In short, for anyone who wants to do their own accounting, this is definitely recommended! I met with my accountant this afternoon and he was really impressed by the program. He even called it revolutionary. Your purchase is 100% Risk-Free – use the Excel accounting template for 30 days and if you’re not happy, simply let our friendly team know and they’ll be happy to refund you in full. 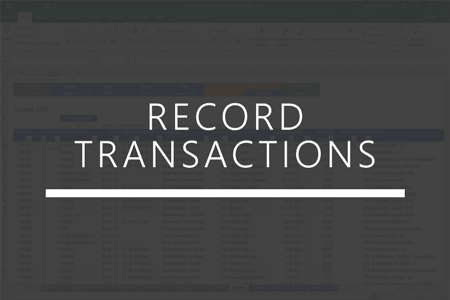 We do not limit how many transactions you can process in each template, however for practical purposes we created 1,000 line items per journal. Contact support if you need more. Our support team are on hand via email, chat or support desk to help you with any issues you have getting up and running with the Excel accounting template. 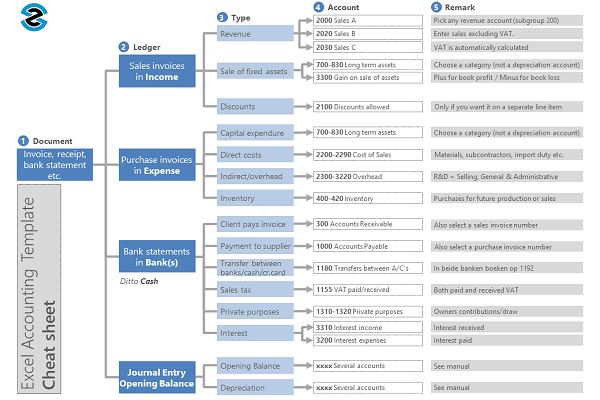 Is the Excel accounting template a monthly recurring payment to use the system? No! 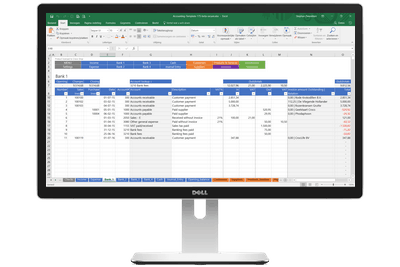 There are no monthly fees with the Excel accounting template. You buy the software package and you can use this for as many businesses as your chosen license package allows. Your purchase includes 1 year of support and updates and activation codes for the first 2 years. After 1 year, there is an optional renewal if you want an activation code for the next year, our continued support and the latest updates. How much is the support, new activation codes and updates renewal after 1 year? After your inclusive 1 year of support and updates expires, you will need to renew your license if you want new activation codes, access to our support team and the latest product updates, bug fixes and new features. You can quickly and easily renew your license at up to more than 50% off the normal pricing within 60 days of your original license expiration date. Renewing your license provides an additional year of support, new activation codes and software updates. This provides peace of mind knowing you can turn to us for accounting and Excel related support and assistance. You’ll also continue receiving software updates to ensure local compatibility as well as great new features and enhancements! 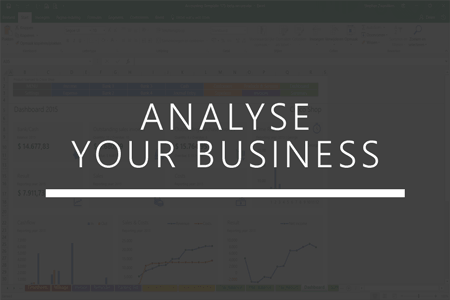 Do you provide support if I get stuck using the Excel accounting template? Of course! Our friendly support team are available to help you through your issues. We obviously can’t process transactions for you, but we’ll guide you in the right direction and help you get past any issues you have. What happens to my accounting template after 1 year, does it stop working? No. If your license expires, your template will work as it always have, unless something changes with the Excel core itself. You just won’t have access to download the software (template or bonuses), won’t receive new activation codes and product updates and won’t be able to ask our friendly team for support. 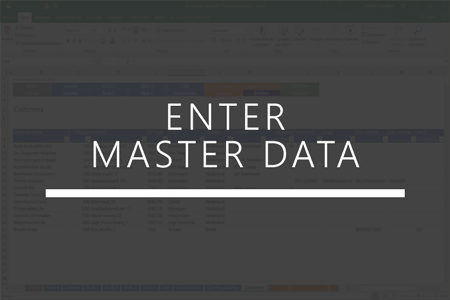 Who controls my data recorded in the Excel accounting template? 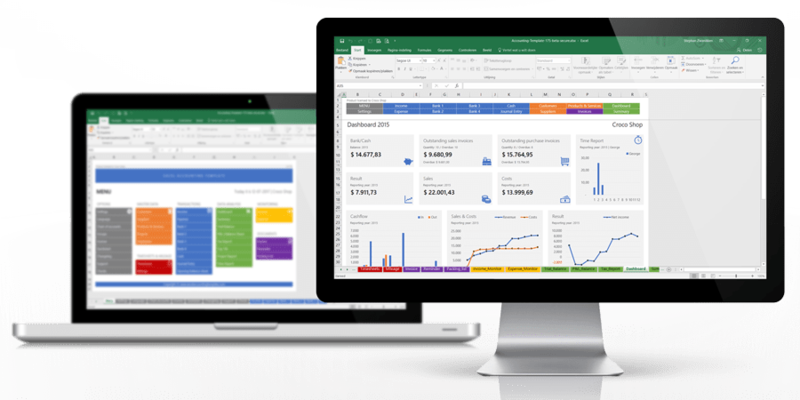 As you use the Excel accounting template on your own computer or laptop, you have full control over your content. We recommend storing your template in the cloud (e.g. using OneDrive), so you can always access your template anywhere in the world.